Several years ago I began collecting vintage red glass. 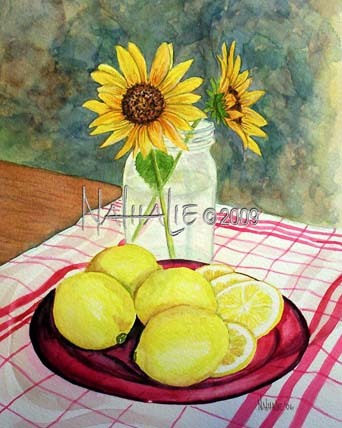 I love the contrast of the lemon against the red glass plate. I added an old canning jar filled with sunflowers.